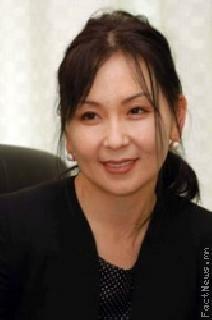 Jadamba Tsolmon, Dr. (Ph.D, ) Former Vice Minister of Health of Mongolia. Analyst Professor of Mongolian Institute for Geopolitical Studies. Historically, Mongolians have sealed their imprints on the world map from the Korean Peninsula to Hungary, forging the largest continuous empire the world has ever seen with an army that was severely outnumbered at every battle; a feat that serves as evidence of the astounding military-politico-economic organization and discipline of Chinggis Khan, his successors, and their hordes. Since the collapse of the Mongol Empire, Mongolia has paid its dues through its 220-years of integration into the Qing Dynasty and its subsequent role as a satellite state for the U.S.S.R. Correspondingly, after the demise of the Soviet Union, Mongolia suffered through a bumpy dual transition to democracy and an open-market economy headed by an overwhelmed and inexperienced ruling class following an almost spontaneous overnight withdrawal of the Soviet Union. Furthermore throughout time, even before Chinggis Khan’s staggering conquests and to some extent even today, Mongolia has repetitively been faced and threatened with illegitimate Chinese claims to its land and people despite constant and consistent victories proving its sovereignty. After the collapse of the Yuan Dynasty the Mongols withdrew from China into the Mongol heartland, and after a large part of its territory had been pawned and pried away by the former Soviet Union and China, Mongolia was reduced to an area of 1,564,115.75 km2, landlocked between Russia and China; now home to a population of 2,953,190. With no access to sea and with desert-continental weather that gives way to scorching hot summers, harsh freezing winters, and vulnerabilities to biting dust storms and droughts hardly suitable for agriculture; it would seem that the nucleus cherished and jealously protected by the Mongols for centuries, even during their prosperous world conquests during the 13th and 14th centuries, is a failure in terms of its global strategic location value; especially in a world of ever-increasing competition over global trade where an advantageous positioning is key to the growth of its economy. However, it seems that perhaps the Mongolian forefathers had more foresight on the benefits of the Mongol heartland than they are being perceived to be today. Apart from the above-mentioned barriers to trade and productivity resulting from unfavorable natural conditions and the lack of access to sea, Mongolia has extensive mineral deposits in the forms of copper, gold, coal, molybdenum, fluorspar, uranium, tin, and tungsten, as well as 31 million tons of rare earth resources like tantalum, niobium, thorium, yttrium and zircon that makes Mongolia the second biggest global source of rare-earth minerals after China. These extensive mineral reserves have prompted the world to call Mongolia “Mine-golia” and have shifted Mongolia’s economic growth driver from traditional herding and agriculture to the mining-sector that was largely responsible for 17.5%, 12.4% and 11.7% GDP growth in 2011, 2012 and 2013, respectively ; thus, effectively making Mongolia the world’s fastest growing economy . Yet despite Mongolia’s obvious wealth in mining minerals, another great potential has been overlooked and/or underestimated: renewable energy. Mongolia is dependent on Russia for energy, purchasing close to 80% of its gasoline and diesel fuel, as well as a significant amount of electric power , which adds up to 1,320 billion U.S.D. and 16% of Mongolia’s total imports , hinting at the remnants of Russia’s “soft colonialism” of Mongolia from the glory days of the Soviet Union. Moreover, Mongolia has always been painfully aware of the fact that its independence balances on the delicate relationship it has with Russia and China, a relationship stained with historical emotions and driven by dependency on Mongolia’s part . So far, Mongolia has been successful in implementing clever foreign policies that have protected and maintained Mongolian sovereignty through positive diplomatic relations with metaphorical “third neighbors” such as the United States and the European Union, on top of its traditionally strong ties with its two immediate neighbors. However, especially in the face of adversity and uncertainty, it is crucial for Mongolia to develop an economically sustainable and, most importantly, a safe and consistent source of energy supply in order to safeguard its economic security by reducing Mongolia’s vulnerability to external shocks, such as hikes in world oil prices or political sanctions on oil-exporting countries. Furthermore, in the presence of a massive global shift towards Green Energy, Mongolia simply must take an active part in Renewable Energy investments if it wishes to be part of the new world. This paper will focus primarily on Mongolia’s massive renewable energy potential in the forms of wind and solar energy; however, it does acknowledge the importance of considering the benefits of other sources of renewable and conventional energy such as hydropower, biomass, bio fuel, geothermal energy, hydrocarbon resources and, to some extent, nuclear energy, this paper will not delve into those areas. Therefore, the term “renewable energy” will principally refer to wind and solar energy, and it may be used intermittently with “Green Energy”. The paper consists of three sections. The first section will present the importance of energy independence to national security, and as a crucial overall strategy for competing in the world market; the second section will highlight the immense geopolitical advantage Mongolia has within its borders in producing renewable energy, its current investments in the renewable energy sector, and the potential Mongolia has in becoming a world green energy exporter; and the final section will contain a few recommendations to Mongolia’s decision-makers, in order to help them build a greener, stronger, and more competitive nation. Spencer Abraham and Mark P. Wills (2013) said that the “geopolitical objective of [energy] independence is really about preventing one or a few players from being in a position to undermine or manipulate the marketplace, or from using energy as a political tool.”From this definition of “energy independence”, we can deduce two things: (1) Without energy independence, a nation is at the mercy of other countries, which might use their energy exports as leverage on the importing nation; and (2) Energy independence does not mean energy protectionism, it means energy security. If we take a brief gander down history, we will be confronted with the dumbfounding number of wars waged in the name of “oil”. The blatant truth is that energy is the key to being a competitive economy in today’s globalized world, and this “black liquid” has been hailed as the king of all resources due to the heavy reliance of all countries on it. Our modern world simply cannot function without energy supply. Everything from the production of food, to transportation, communication, and health treatments run on energy. Therefore it comes as no surprise that a nation’s security, a nation’s sovereignty, heavily relies on the capability of its leaders to ensure its independence from external manipulation of energy supplies. Being wholly dependent on foreign energy supplies means being vulnerable to political and economical instabilities in the supplying countries, as well as in the global situation in general; such as the nationalization of oil in Venezuela that resulted in vast decreases in Venezuelan oil production , or even the most recent attempt of Russia to control Crimea that caused international sanctions on Russia’s oil and natural gas exports. The latter conundrum is further exacerbated by global politics where failure to abide by international sanctions could present mixed messages to the international community and may produce unwanted consequences for countries dependent on foreign energy supplies, especially developing countries; leading to a sticky situation where the nation would have to choose between abiding by the international sanctions and suffering the lack of energy supplies, or ignoring international sanctions and face the disappointment of the international community. Moreover, due to increased competition over the world’s limited supply of oil, the major economic powers of the world may be able to sidestep the scarcity by forming alliances between themselves, but only by leaving even less than the present conditions allow to the developing majority of the world; thereby further consolidating their politico-economic dominance. Additionally, we must always keep in mind that in spite of varying degrees of development, in the age of globalization, all developing countries are ushered into an era of compressed second modernity regardless of individual nation’s wishes. This means that no country is left untouched in terms of global information, trade, and risks; which in turn also means that unlike the past, no country can afford ignorance or isolation. Hence, without the comfort of having a choice in being an inactive competitor, being an incompetent competitor yields poverty and misery for the nation’s inhabitants. This may fuel social unrest, inevitably heaping additional pressures and problems onto the platter of the already swamped government. Therefore, the well being of the people depends on the strength of the nation’s competitive position in the global market, which in turn is substantially dependent on the country’s energy security. If history has taught us anything, it is that in the end, all nations serve in their own best interests in spite of publicly declared vows of fidelity and friendships. This means that every nation should be prepared for crises that would shake the bonds between countries and test the strength of their diplomatic pacts. One such lesson was learned during the 1973 oil crisis that gave birth to the Organization of the Petroleum Exporting Countries’ (O.P.E.C.) cartel, which alerted many countries to the real consequences of being oil-dependent. This wake-up call pushed countries like Japan, the United Kingdom, the United States, Sweden, India and Iceland, previously oil-dependent countries to not only seek alternative means of fuel, but to invest in renewable energy to either reduce their energy dependency (Japan) , become energy independent (Iceland) , or even become a net energy exporter (United Kingdom). “To truly transform our economy, protect our security, and save our planet from the ravages of climate change, we need to ultimately make clean, renewable energy the profitable kind of energy”- U.S. President Barack Obama, February 24, 2009. In his 2012 second-term presidential elections, Barack Obama stated that the future is Green Energy, and if you wish not to be left behind in the obsolete, Green Energy is an investment worth making. This statement rings true and ominous because we now know for certainty that climate change is not a myth. Therefore, all the countries that invested in Green Energy now will reap the rewards of a stronger economy, greater political presence, a comfortable seat in the innovative club of countries that had the foresight to realize the trend earlier on, and a clear conscious that accompanies a nation that strived to leave the future generation a piece of the earth. In the end, energy is needed to run the economy, a strong economy is needed to be competitive in the global market, a solid competitive position in the global market increases the nation’s power, a powerful nation bolsters its international relations, and the number of supportive friends you have on the global political arena is testament to your sovereignty. It is already common knowledge that Mongolia is endowed with generous supplies of mining minerals and a rich quantity of fossil fuels, mainly in the form of coal. The German Federal Institute for Geosciences and Natural Resources (B.G.R.) estimated that there are 1,038 billion tons of coal reserves left in the world , while the World Energy Council (W.E.C.) estimated a global coal reserve of 861 billion tons. From the above, Mongolia is estimated to have 150 billion tons of coal reserves by the Mongolian government, which equals to either about 14.5% (according to B.G.R. estimates) or 17.5% (according to W.E.C. estimates) of the world stock of coal reserves, which in turn is equivalent to 19 years of the global coal output in 2012. Moreover, at the present, Mongolia is the 7th largest coking coal producer in the world according to the World Coal Association (W.C.A.). Therefore, it may seem counterintuitive for Mongolia to invest heavily in renewable energy, which is relatively unstable and more expensive, when it has one of the world’s largest coal reserves in the world, from which Mongolia already derives 98% of its energy needs. However, it is exactly due to its abundance in coal that facilitated Mongolia to become one of the biggest producers of greenhouse gases in the world, resulting in its capital city, Ulaanbaatar, to be ranked the second most air-polluted city in the world in 2011 by W.H.O. This title is more than a bad stain on Mongolia’s reputation, it has real-live health consequences for its people who are suffering in not only a substantial decrease in life quality, but future generations are being afflicted with chronic lung development defects. Furthermore, with advanced countries around the world shying away from the use of coal, precisely due to its high carbon emissions, Mongolia should reduce its dependency on coal if it is to be part of the new world order, whose large part is dependent on eco-friendly regimes. However, it is important to note that circumstances do not look grim for Mongolia. In fact Mongolia has more prospects within its borders that are aligned with the global mission of reducing greenhouse gas emissions. Mongolia is situated on a high altitude of 1,580 meters on average above sea level, and it boasts of infinite steppes in its eastern and southern parts. The whole of Mongolia was evaluated to have good wind resources, especially in the central regions of Bayankhongor, Tuv, Dundgovi, Khentii and Sukhbaatar; and excellent wind resources, especially in the northern and southern regions of Bulgan, Khuvsgul, Dornogovi and Umnugovi. In the aggregate, Mongolia was calculated to have a potential for producing 2,550.1-8,123TWh/yr of energy from wind. This is more than China’s current wind capacity, which is ranking first in the world at present. As for solar energy, Mongolia is not known as “the land of the blue sky” because it is plagued by dark clouds. Out of the 365 days of the year, Mongolia enjoys approximately 270-300 days of sunshine regardless of season, and has the potential to generate 4,774 TWh/yr of energy from solar power in the Gobi desert alone. Furthermore, with Mongolia standing as the largest most sparsely populated country in the world, with about three fifths of the population residing in the capital city, there is more than enough room for Mongolia to install solar panels and wind turbines without disturbing urban or rural lifestyles. The combination of all of Mongolia’s renewable resources of wind, solar, geothermal, and hydropower is estimated to be capable of producing 2.6 million MW of energy, which is seven times the capacity of all the nuclear reactors currently operating in the world. Till now, Mongolia has demonstrated impressive foresight by encouraging eco-friendly policies and promoting renewable energy despite the relatively small size of its economy on the global scale. Since 1990, Mongolia has been working intensively with the International Renewable Energy Association (I.R.E.N.A.) to infuse the Mongolian energy sector with renewable energy possibilities, and it joined the “Global Energy Council” and the “European Energy Chart”. It opened its first privately owned wind farm in Salkhit, and it has started producing energy from the 20th of June 2013. Mongolia launched the “National Renewable Energy Programme” in 2005, which aims to provide 20%-25% of the total energy production from renewable resources by 2020. From this, the Salkhit wind farm is estimated to provide 5% of the electricity production, and roughly 164,000 tons of CO2 emissions are expected to be reduced annually by the wind farm alone; hence, making it possible for the country to sell carbon credits. In terms of solar energy, Mongolia already has three solar photovoltaic installations situated in its (a) Naran Plant (which has the capacity to produce 5kW of energy); (b) Noyon Plant (200 kW), and; (c) Tsagaanchuluut Plant (1kW). Moreover, Mongolia has successfully implemented the “Solar Gers Project” in 1999 where, with the assistance of the World Bank and the Dutch Government, 100,146 herder families were supplied with portable solar energy systems. This increased the nomadic herders’ access to electricity from 0% to 70%. Nonetheless, despite the general positive trend, Mongolia still has a long way to go as currently the amount of renewable energy generation is less than 1% of its capability. If Mongolia continues on this trend of “Green Energy Growth”, and further enhances its visionary stance by investing more in the training, development, research and construction of solar and wind power, Mongolia has a real potential in becoming a major green energy exporter in the region due to the geopolitically strategic location of Mongolia’s favorable wind and solar sites, which are situated in the northern and southern regions closer to Russia and China, respectively. Renewable energy has one large advantage: it Is limitless. Unlike conventional energy, there is no need to fear scarcity. Thus, the initial investment poured into renewable energy is the largest, and probably only, obstacle. According to classical geopolitics, “those who control the new energy regime, will control the future”. The new energy regime is Green Energy, and those who control it will become the dominant geopolitical players of tomorrow. Therefore, Mongolia must actively participate in this Green Movement, for this is a chance to restart the global game, and race to the top. The good news is, Mongolia has the riches, already laid the foundation, and has a fighting chance. As I have mentioned before, Mongolia is already on the track of becoming a potential Green Energy exporter within its region, and it has done a fantastic job so far in (a) understanding the importance of renewable energy; (b) recognizing Mongolia’s massive capacity of renewable resources; (c) concurring with the future global energy trend towards renewable energy; and (d) pursuing an active role in participating in the global Green Energy movement. Therefore, the following recommendations to strengthen Mongolia’s future energy independence are suggested with full appreciation and acknowledgment of Mongolia’s success so far. Due to the unfair distribution of natural resources and technology, as well as the complexity of the renewable energy division itself, forging and maintaining strong international cooperation is crucial in developing and sustaining a strong renewable energy sector that extracts the largest benefits for all partners involved in the mutual free trade. This is especially true if Mongolia is to pursue a future in renewable energy exports. The renewable energy sector has much to develop and grow. The current technologies used in producing renewable energy, which are both expensive and relatively complex, will consistently evolve into more efficient and cheaper technologies. Therefore, the renewable energy sector will inevitably become the technological sector. Therefore, the Mongolian government must invest into R&D, and encourage innovation amongst the people as well through the issuance and protection of intellectual property patents. The renewable energy sector defers from the conventional energy sector in that it has the potential to be highly decentralized and personalized. The people can design and develop their own solar and wind energy products, which can then also be commercialized and sold as consumer products; thereby further inspiring innovation within the renewable energy field. Mongolia’s current energy grid is old and outdated, and even now without the burden of energy supplies from the renewable energy sector, it has problems in competently ensuring that the entire population has access to electricity. Hence, Mongolia has to commit to the development and modernization of its energy grid by building new power lines and networks in order to accommodate the growing demand for power, which is increasing 5%-7% annually. Moreover, with the future addition of new wind and solar energy power supplies being added to the grid, care must be taken to ensure that the grid is capable of proficiently delivering the hard-earned energy supply to everyone in the country. Otherwise the expensive renewable energy efforts will be in vain. The fact that Mongolia’s first wind farm is privately owned is testament to Mongolia’s commitment to free market enterprises, and an overwhelming improvement in the traditionally centralized energy sector. Nonetheless, in order to attract more private investors who are primarily uninterested in investing in renewable energy in Mongolia due to the State’s excessive influence in the market structure, Mongolia needs to reform its energy structure to allow a free-flow of private capital. After spending billions of dollars and exertions in all the above, all accomplishments will be futile without paying attention to the training of professional personnel in the operation and maintenance of the renewable energy production procedure. This is critical in ensuring that renewable energy supply is increased throughout the country, especially in the lesser-populated areas of Mongolia where people live in near isolation within their individual gers. As previously mentioned in this paper, Mongolia has 31 million tons of rare earth deposits within its borders, and the extent of rare resources are not fully explored as of this moment. Therefore, there is a potential for Mongolia to manufacture its own renewable energy equipment such as wind turbines and solar P.V. panels, which need rare metals such as dysprosium, neodymium, terbium, europium and yttrium, some of which are already proven to reside in substantial quantities in Mongolia’s rare-earth deposits. This would reduce its dependency on China for rare-earth metals. Since this paper is about Mongolian energy independence, it must take into account the possibility of critical materials needed for producing renewable energy equipment becoming a factor in undermining Mongolia’s energy independence. Thus, it is essential that Mongolia follow in the footsteps of the U.S. in formulating a “Critical Materials Strategy” where rare earth minerals are identified and categorized according to its supply risks for the short, medium and long term. This would help in formulating a strategy to reduce Mongolia’s vulnerability to external supply shocks. Despite worldwide consensus that renewable energy is the energy of the future, there are still many who strongly argue against it, contending that it is economically infeasible and a goal that is untenable. It is no secret that without strong political support, the renewable energy momentum is hard to sustain. Therefore, it is essential to retain focus on the long-term goal, and the benefits the future has in store for all those who commit to renewable energy now. Abraham, S., & and Mills, M. P. (2013). Sovereign Energy Independence: Properly Understood and Effectively Achieved in the 21st Century. Georgetown Journal of International Affairs, The Future of Energy, 14(1), 65-75. Beck, U. (2012). An Introduction to the Theory of Second Modernity and the Risk Society. Routledge. Coronel, G. (1983). The Nationalization of the Venezuelan Oil Industry: From Technocratic Success to Political Failure. Lexington, Mass: Lexington Books, D.C. Heath and Company. Hang, Q., Jun, Z., Xiao, Y., & Junkui, C. (2008). Prospect of concentrating solar power in China—The Sustainable Future. Renewable and Sustainable Energy Reviews, 12(9), 2505-2514. Oxford Business Group. (2012) The Report: Mongolia 2012. Oxford Business Group. Patersons the Australian Stockbroker. (2012). Mongolian Coal Review. Industry Report, Blessed by Geology. Retrieved from http://www.guildfordcoal.com.au/wp-content/uploads/2012/08/MongolianCoalReview_July2012.pdf. Renewable Energy Corporation. (2003). Alternative solution for Fuel in Gobi Region. Report. (pp. 120). Ulaanbaatar, Mongolia. Wachman, A. M. (2009). Mongolia’s Geopolitical Gambit: Preserving a Precarious Independence While Resisting “Soft Colonialism”. Tuts University. Working Paper 18. Weatherford, J. (2005). Genghis Khan and the Making of the Modern World. Broadway Books.